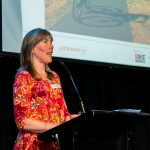 At the recent Future Movers 2 | Streets for People, we looked to the future, via the lens of those who are in action now: ready and willing to create safer more enjoyable travel for all. The evening was an opportunity to think differently about our streets, the way we move around and use them, the way we share them with other users, and the possibilities for the future. 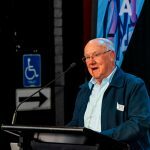 Trevor Budge, City of Greater Bendigo highlighted the changes that are coming in the future, such as the rise of electric scooters and car sharing that will enable us to get rid of our own cars. Damien Power, from Power’s Country express, shared the challenges of driving trucks in and around town, the difficulties of space for unloading and the need for other users to be aware of large vehicles such as when turning. Top improvements by the freight industry include access for larger vehicles, more improved loading zones, and a freight terminal hub. Leah Holden, a La Trobe University marketing student, provided a unique perspective on road safety. Her generation is on the go and convenience is a priority. Taking a cultural and behaviour change perspective, Leah said “Emotive campaigns would make an impact on my generation.” Her idea was to create a “puppy” campaign, and showed a past TAC campaign that used puppies effectively. Norm Quin, from Quin’s Bluebird fruit shop, reminisced about the old days when there was much less traffic and back then you could ride without a helmet. 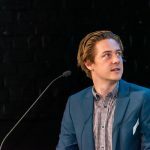 He shared his frustrations from a retailer perspective including how skateboards, bikes and scooters on footpaths cause issues, parking problems and the dangers of loading bays. 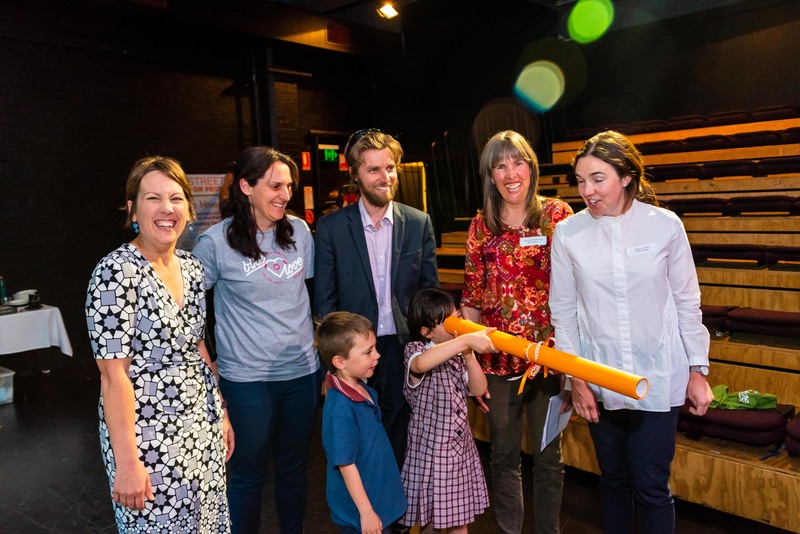 Lyn Coulter, principal of Epsom Primary School, along with two students Mack Ashton and Sarah Piotrowski, talked about what their school has done to reduce traffic around the school and to promote active travel. Lyn said that more children would like to ride to school, but parents are reluctant to let them. Their approach was to involve the children in the discussions and solutions, “The best changemakers in a parent’s life are their children”. Jamie Ellis from Whitmore’s Bus Lines explained their strong focus on innovative transport solutions and how they are encouraging multi-modal travel. A key message in his talk was the importance of collaboration and partnerships across different organisations. For example, being willing and able to co-ordinate bus times with train times made a difference for people transferring between services. 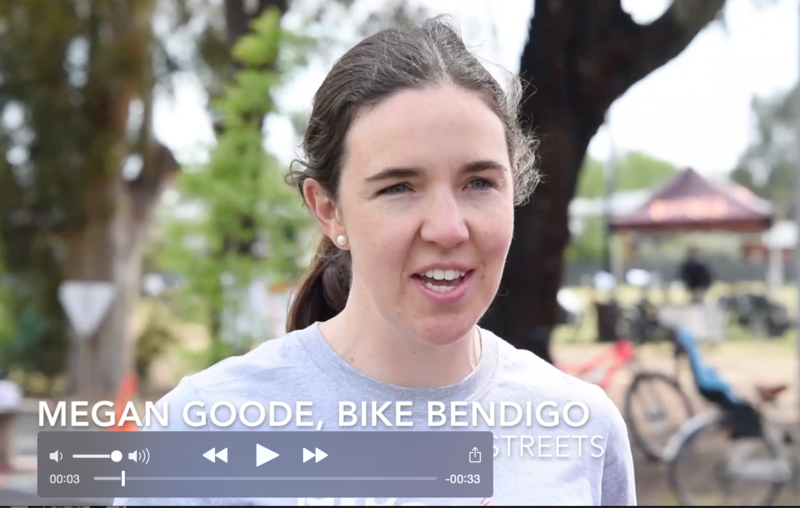 Megan Goode, Vice President of Bike Bendigo, discussed the recent successful Havlin Street Mural project. She said that painting the mural provides the opportunity to change the way people relate to the space and allows for community to feel involved, “making the road not such a place for cars”. An observation from Bendigo Tramways about the success of the recent White Night Bendigo and how they ran their tram service until 2am for the first time in 40 years, and the potential for more events like this to make use of the streets in a different way. Consideration needs to be given to parking and safety at night. People, in particular women, may need to park close to work when walking to cars at night. 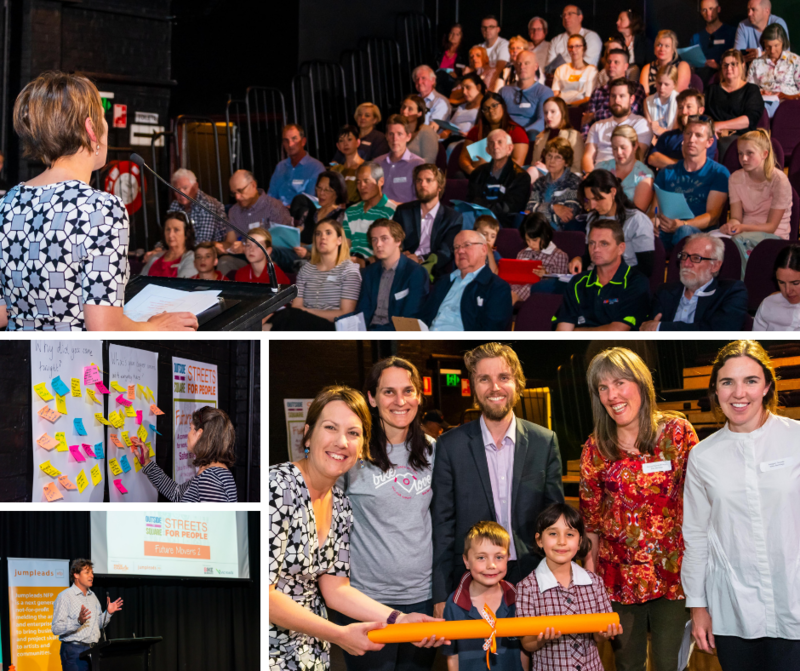 Those in attendance explored what everyday travel in Bendigo could look and feel like in 2030, and what principles could be adopted to help get us there. I came tonight to support my brother while he is speaking about something he is passionate in and to become more involved in the topic. Want more on-road cycle lanes, markings and separation! What’s your biggest concern with everyday travel? Petrol is very expensive but cycling is pretty risky! Not enough protection for cyclists on road! 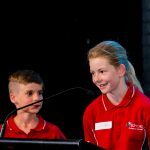 Safety of cyclists as Bendigo’s population increases!